At a presentation by Marcus Tober on new ranking factors for 2017 and beyond, there were some noteworthy changes to how Google’s algorithm is changing. Here are some highlights from the presentation. Page load times are dropping across the board. Both HTTPS and page load speed are new (and public) ranking signals that require little effort on the part of the site owners to implement. 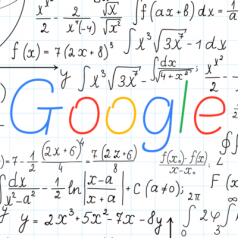 Google’s grasp of the meaning and intention behind the content is increasing, and the data shows that more and more pages that rank at the top do not have the keyword phrase in the title. Bigger is better by the looks it as higher ranking correlates quite highly with content length, with the top three positions as much as 45% longer than lower ranked content. The study examined the difference between the weights of ranking factors from one industry to another. For example, Finance sites get a higher boost from HTTPS than a gaming site. On the other hand, larger and better images boost travel sites but show no difference for finance sites. The ranking factors also change for niche sites. Recipe sites get more of a boost when using schema than others. SEO is changing, and Google is getting better and better at identifying good content that matches both the site and the user’s intention. The changes are positive in that they encourage and promote the creation quality content that has value to the user.